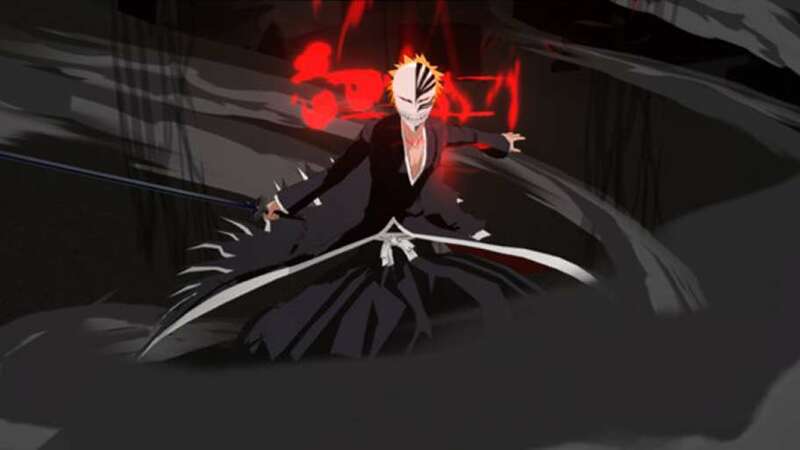 Feel what it's like to be an anime hero in this game that puts you inside the world of Bleach. 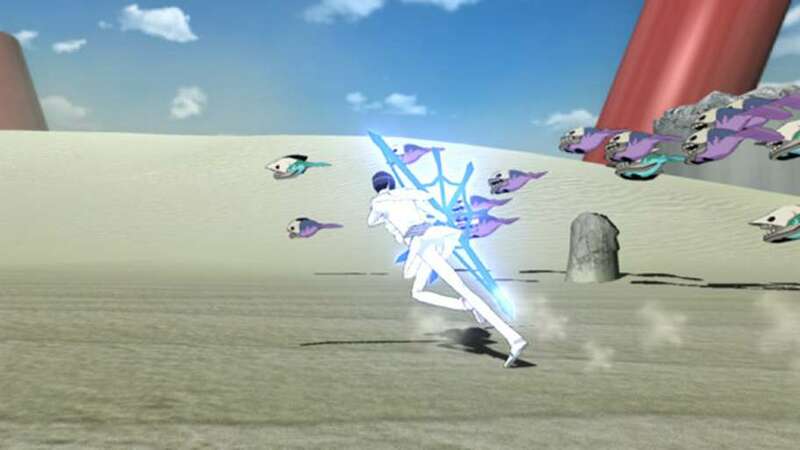 Soul Resurreccion lets you experience the action and events that have made the series a favorite in HD for the first time. Join the war between the Soul Reapers and the Arrancars and carve up an army of monsters and evil spirits with furious swordplay. Choose from 21 characters from the series and travel through an open world rendered with cel-shaded 3D visuals. Each character has their own path through the leveling system, so you'll experience a new evolution in your character's power each time you play. When it comes to battle manga/anime, the intensity that it can bring sometimes can be too much for a video game to match or try and imitate. This game though does a perfect job of bringing the manga/anime alive in video game form. 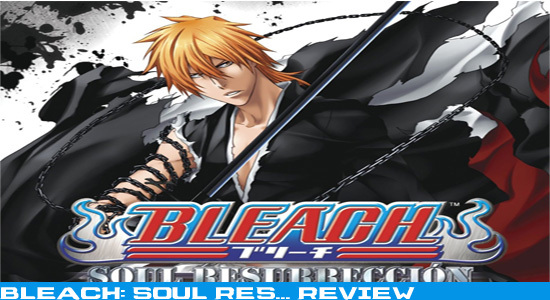 With enough characters to use, and each character has unique moves, making this game a must play for any fan of the Bleach series. The leveling system while not ground breaking, made it so that you had to use different characters if you want to level up the character that you like. It wasn't amazing how they did it, but I thought that it was an nice addition since this game doesn't have much to offer other than its three modes that it does have. Mission mode was hit and miss with some missions being too mundane to others being hard to the point that you will probably have to grind to beat it. The difficulty past “medium” I thought at least was challenging enough to not mindlessly button mash to victory. There’s honestly not much to do in this game with the modes its presents, but at least the modes were decent, and fun enough for anyone who watches or reads this series to enjoy it for a week or so. First of all the story was still carried over from the anime/manga, but the only thing I didn't like about it was the lack of fresh story for those new to the Bleach series. It just throws the story at you, and I didn't like that one bit. At least make an attempt to have a back story for some characters, so at least some people who don't know what is going on can grasp the situation. The load times took to long for my taste, I mean there was only like 3-5 different levels in the game, how hard is it to make a game load when there’s not much to load? There was not much to do in this game like I have previously stated, and that’s a problem. If you want a full complete game then you might want to go elsewhere because this game is only going to get you 4-8 hours of game play if you’re a normal gamer. The fighting mechanics were also kind of too simple with the only shining point on it was that there was enough of a difference in characters that some people might of not noticed that they were pretty much using the same button layout as other characters, and that would eventually get tiring for people who are trying to complete this game 100%. This game is not terrible or bad, and honestly I thought it was fun for what it is, it’s just that it does not feel like a complete game. Those who are wishing that this game was going to be the best Bleach game to date will probably be mildly disappointed, but at least for people who like collecting anything Bleach can say that they got a decent game into their collection. If people can take this game for what it is like I did, then you can still find enjoyment in this even if you are new to the series. For the people who made this game, I applaud them for at least making a decent attempt to bringing Bleach to life in HD form. Hopefully if they decide to make another game like this, is that they take what they have, and they improve it with more modes, and characters along with unlocking moves with the characters instead of everything already being there. If you’re bored and have already played all the games that you have wanted to play, then this is a decent rental for anybody to get rid of that boredom.